Your trip begins in San Jose where our representative will meet you for a transfer to Arenal areal. Your private overland transfer to the Arenal area will take about 3 hours approximately. 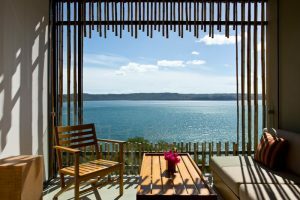 Is is a sightseer’s dream, while its abundance of outdoor activities makes it an easy place to check things off your “must-do in Costa Rica” list. Today you will explore the Arenal Volcano area. There are many hikes to choose from and we can arrange for these to be guided or non guided. Your evening ends at the Hot Springs Resort with a gourmet dinner of regional cuisine. Today we can offer you a Canopy Tour, it is a lot of fun and will get the adrenaline going. Locals say that you have not visited Costa Rica until you have tried a canopy tour. 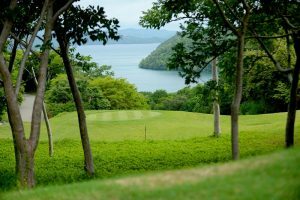 Say goodbye to the volcano region and head to the province of Guanacaste, renowned for it’s white sand beaches, high-end hotels, and exceptional golf courses. Guanacaste is the driest area in Costa Rica and offers the most hours of sunshine. Today we suggest a half-day of activities and a half day enjoying the beaches and facilities of your hotel. The province’s natural surroundings are beyond breath taking. For the active adventurer, we offer spelunking in the Barra Honda Caves. For those who want some pampering, all of our choice hotels offer wonderful spa facilities. Sit back and relax on the beaches of Guanacaste. Suggested activities for your stay in this region include: a sunset catamaran tour around the shores, white-water rafting on the Corobici or Colorado River, bird watching, horseback riding, hiking in the Tenorio National Park, or long walks on the wide-open swath of beach. Two of our suggested hotels. Golfers will love the facilities at Hotel Andaz or at the Four Seasons Hotel. Whether you prefer boutique luxury, high end hotels, or something else, Guanacaste has something for everyone who loves sunshine and beaches. All good things must come to an end. After breakfast we will provide a private transfer to Liberia International Airport for your international flight home. Included in your quote will be: pre and post hotel accommodations, transfers to and from hotels and excursions, guides as described, all breakfasts, 1 dinner. Always priced separately: Airfares, travel insurance (highly recommended), pre and post trip travel. Never included: airport taxes, personal purchases, mini-bar services, alcohol unless specifically included, OPC contribution, gratuities for guide and driver. End Adventure or extend the experience in the Monteverde cloud forest or Manuel Antonio National Park.